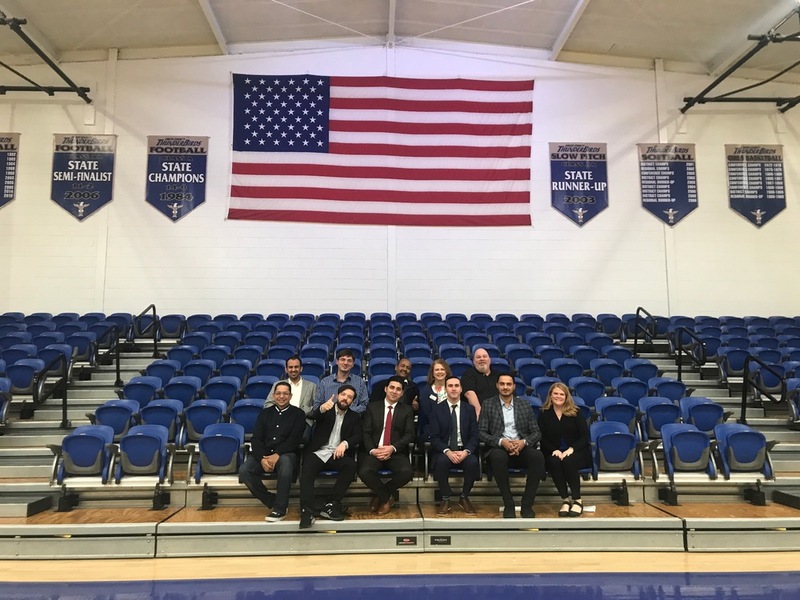 Cross County High School successfully hosted a group of seven international dignitaries through the U.S. Department of State’s International Visitor Leadership Program last week. The high school was selected after a recommendation was made by the Office of Innovation for Education in Arkansas to a representative at Global Ties Arkansas, Mrs. Heidi Whitman. In addition to the dignitaries and program representatives, three other leaders visited Cross County High School to serve as liaisons for the traveling group. The dignitaries are in the United States through February 16th as a part of a multi-regional project, Education in a Digital Age. While at Cross County High School, the distinguished guests toured campus, attended student presentations, observed classes, and interviewed staff members about Cross County’s integration of technology into project-based learning. The visiting team was especially impressed by Cross County High School’s facilities and technology--double block rooms, one-to-one Apple technology, Apple TVs, Echo, IXL, and more. During the team’s visit to the EAST classroom, two students, Anastacia and Isabella Guerrero, presented their award winning mobile app to the guests. Anastacia and Isabella spoke eloquently and with extensive technical knowledge prompting applause from the dignitaries. This presentation for the visiting team was a perfect example of everything Cross County High School stands for-- student-driven, authentic, project-based learning that is of service to the world. Another highlight of the visit came when three of the dignitaries presented information about their countries to a freshmen social studies class. The presenters were Mr. Lutokhin of Russia, Mr. Amogne of Ethiopia, and Mr. Al-Lami of Iraq. In each presentation, students were fascinated to learn a brief history of each dignitary’s country and enjoyed the opportunity to ask questions about everything from the weather to the education system in each dignitary’s country. The presenters were affable, patient, and inspiring to listen to. Students listening were even given gifts of lapel pins by the presenters as a token of goodwill. Hosting these seven dignitaries and their liaisons was an honor for the school district, community, administrative team, teachers, students, and staff. Cross County School District looks forward to continuing to host visits to Cherry Valley to collaborate with educators near and far.